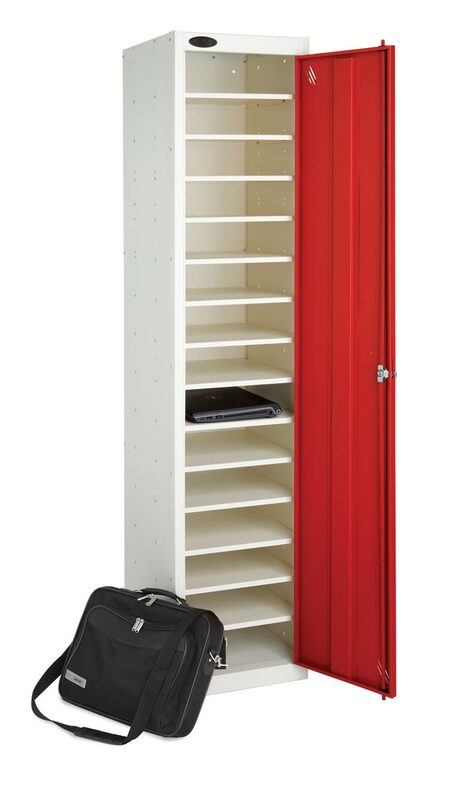 The increasing use of laptops and media devices in the work and academic environment has led to the introduction of lockers designed specifically for the safe storage and charging of these devices. Maximum Device Dimensions 370mm Wide x 420mm Deep. 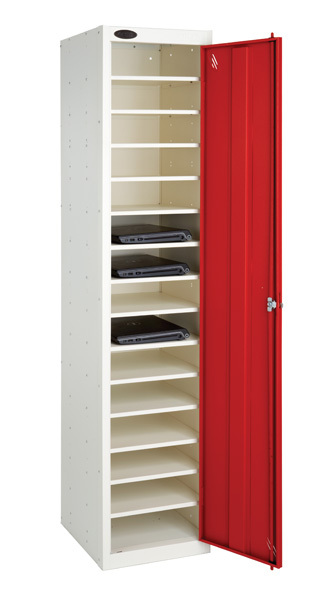 Please also consider your specific device charger when deciding if the device will fit into the locker compartment. 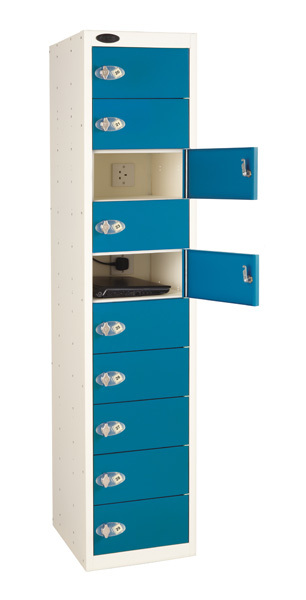 Charging Lockers- The Charging laptop lockers have a 240v power supply to the unit and a standard 3 pin power socket in each charging compartment. Non charging laptop Lockers- The same principle design without a power supply and are designed for the specific safe storage of laptops, tablets and net books.